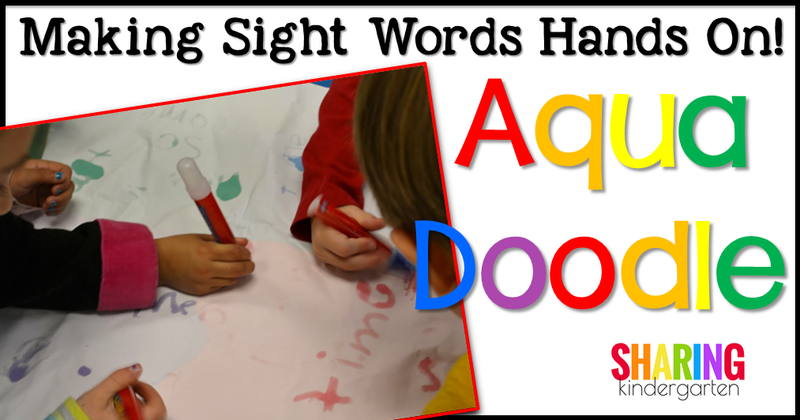 Making Sight Words Hands On! 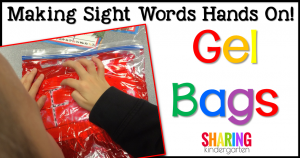 One of the biggest tricks in teaching is to make the learning process like an experience for our little learners, especially when it comes to making sight words hands on! As a teacher on a budget, you have to use everything you have and anything you can get your hands on cheaply to make these experiences happen. We also know that our little wonderfuls need lots of repetitious actions to help make muscle memory to create these words as well. 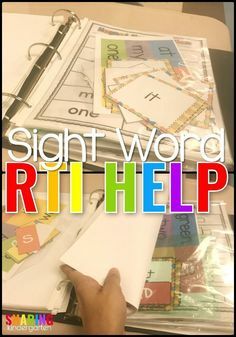 Additionally, we know that simple writing sight words is important, but we actually have to SAY the words, hear the words, build the words to learn the words. Otherwise… you are really just teaching visual discrimination. 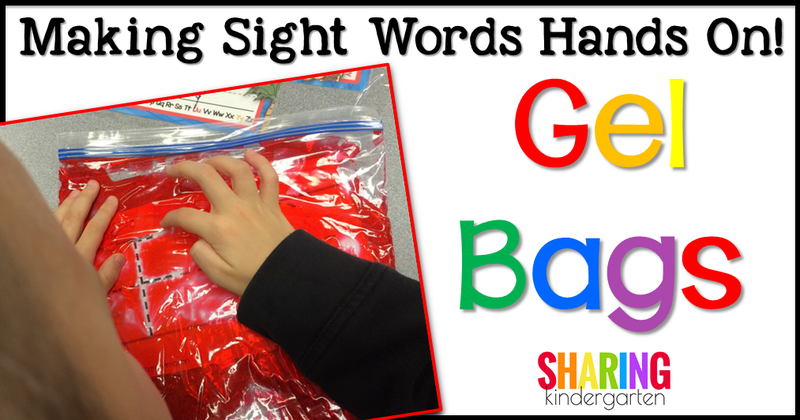 So let’s dive into ways we are making sight words hands on! Aqua Doodle- An Aqua Doodle is a typical toy for two year olds because they use the mat and simple water to create pictures that disappear as they dry. 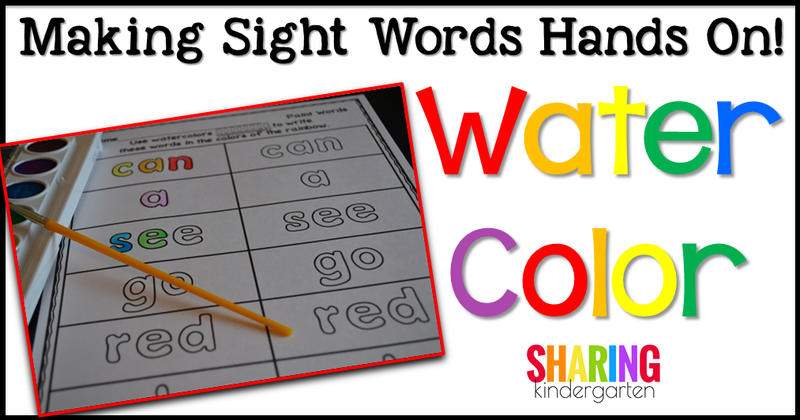 This is an ideal writing tool in any classroom because it is easy to clean up, mess free, and only requires water to create. I love the four color coded parts of the mat (can you see the red, blue, green, and purple sections) that allow 4 students to write in “their” area at the same time. If you can’t find the pen or need more pens, try a new water color brush or a q-tip. Since I am obsessed with these mats, I actually own two. If one gets wet, I simply change out the mat to the other while letting the first dry out. Amazon Link to Aquadoodle. Magnetic Boards- This is a really fancy way to refer to dollar store baking pans that are too small to actually bake with. 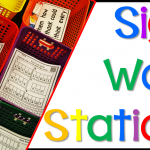 BUT You can usually write on these and you can use them for forming words with magnetic letters or even a combination of both of these activities. You can get cheapo magnetic letters are dollar stores as well. 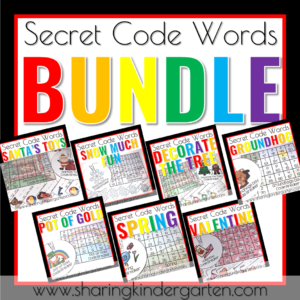 BUT… most teachers I know love using good quality lower case letters that color code vowels and consonances. We just love to hide in every learning opportunity out there. Amazon link to one type of magnetic letters. Watercolors Little learners LOVE to paint. They need to paint. They should be painting. 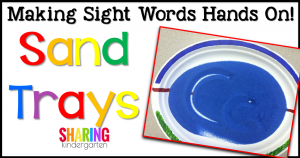 So let them paint… their sight words. I don’t know any administration who can argue with this high interest, developmentally appropriate form of word writing. My students LOVE painting so much and work hard to make it neat and colorful. 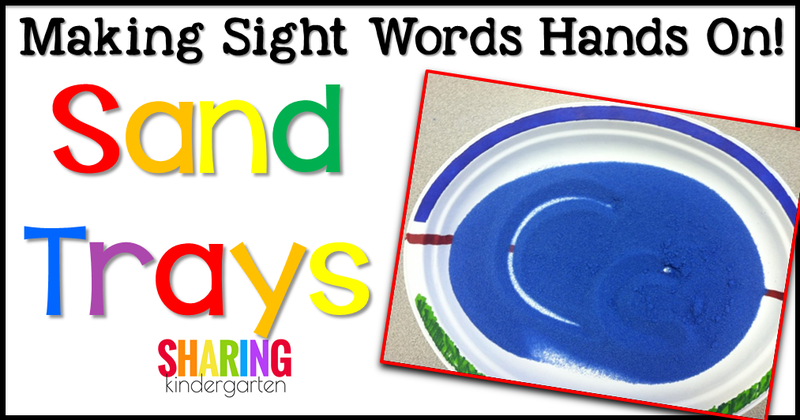 Sand Trays- This idea is a fun way to bring the beloved sand box into the classroom. Many teachers use pencils boxes and other use paper plates. 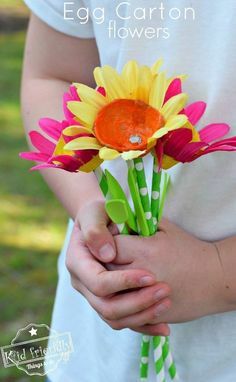 You can check out my sand trays here and make them yourself. I made them once 8 years ago and haven’t had to remake them since. In fact, I still have the same sand too! To find colored sand, I went to the garden section at Walmart. Next to the play sand they usually have a variety of Crayola Sand; green, blue, pink, or purple. It was under $8 for a larger bag that has lasted me years and years. Drawing Apps on Devices- This techie teachers loves using technology to make learning interesting. You don’t have to spend a lot either… most of these drawing apps are free! Check out Sparkle Paint, Sand Draw, and Doodle Buddy for writing words. 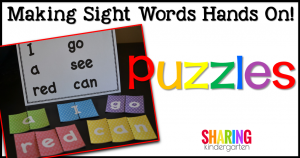 I also like Magnet Board to pull up magnets to create words. 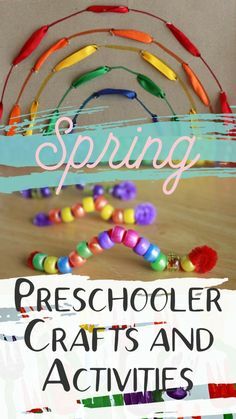 Letter Beads- Use lowercase letter beads and pipe cleaners to create words. 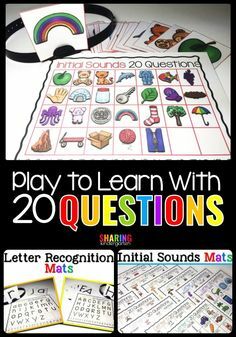 This sounds easy but when you add the idea of putting the letters ON the bed in order and remembering to flip around those b, d, p, and q.Think about how tough it can be for those little hands. 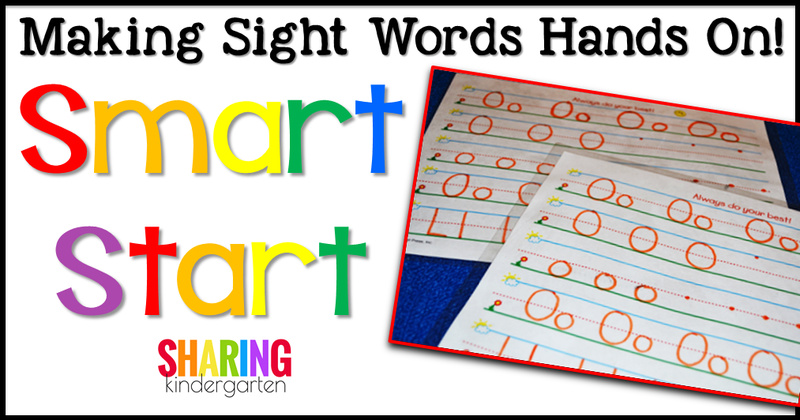 This is an amazing way to work on fine motor skills and the idea of letters together make words. I LOVE using these Learning Resources Letter Beads. 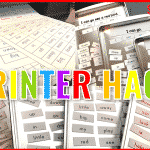 Word Puzzles– I love word puzzles. In fact, love may be an understatement. 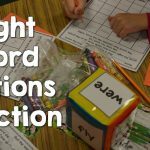 They are a simple and EASY way to build words of any and every kind. Use a table tent with paper puzzles for the perfect equation for fun. 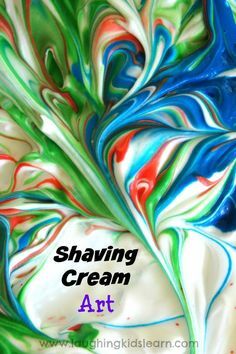 Shaving Cream, Ketchup, and Pudding- Use shaving cream on a table to create another FUN and wet sensory experience. The best news is… it is CLEANING the tables with you. I saw another idea recently that had students writing in ketchup! 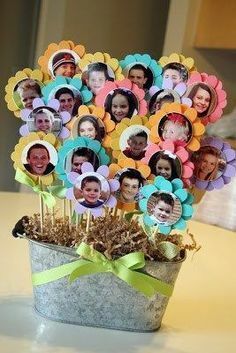 How much fun would that be when focusing on the letter K. I know families that use chocolate pudding as well. Messy? A little. BUT memorable… yes. 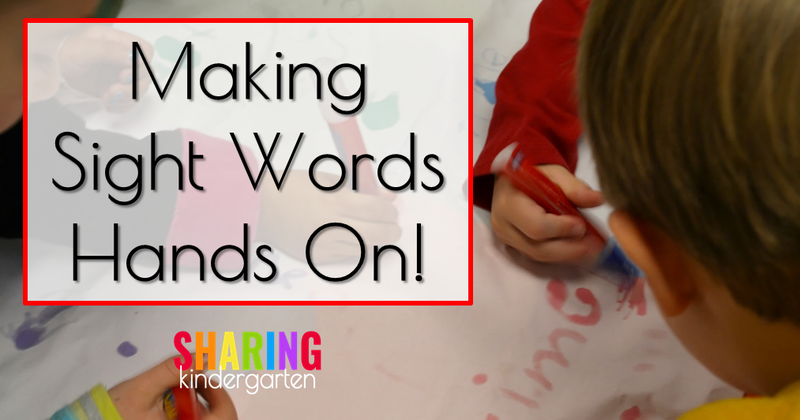 Pipe Cleaners- Use these art supplies to form words. 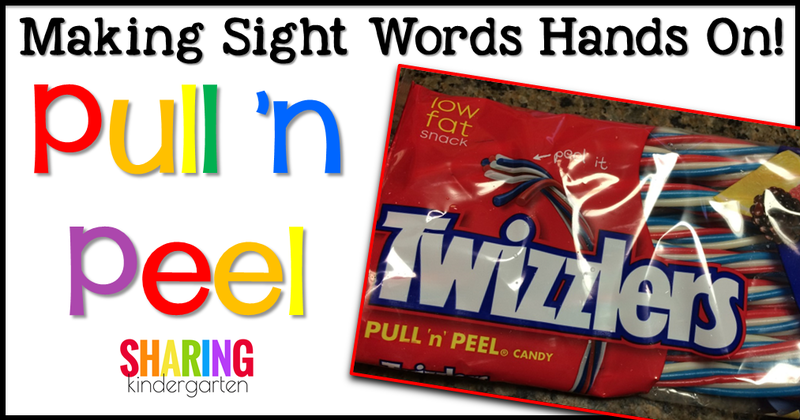 They can be cut, bent, twisted, and arched to create FUN sight words. 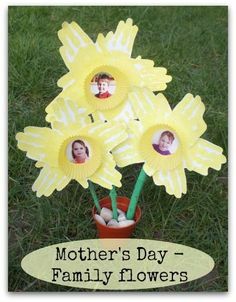 They are cheap and can be used again and again.You can find these everywhere; Walmart, Target, Michaels, and more. 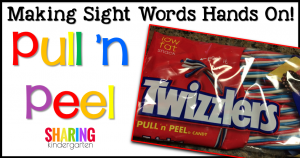 Pull and Peel Licorice- Grab these at the grocery store, but you do not need a large pack of Pull ‘n Peel licorice to go a along way. Look near the check out aisle at stores for smaller, cheaper packs. 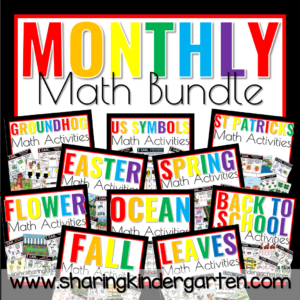 Theses pack are a little messy but are also LOADED with great learning fun. 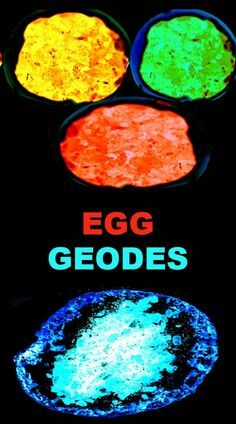 My students love to form words with these pieces and it is a great sensory experience. They have to PULL apart the pieces, then work to make the pieces the correct size to form the words. Nibbling is usually required and provides MORE fun for the learning process. I use all these items because they are in my classroom. But I am always on the lookout for awesome materials at consignment sales, yard sales, and from my students’ parents. 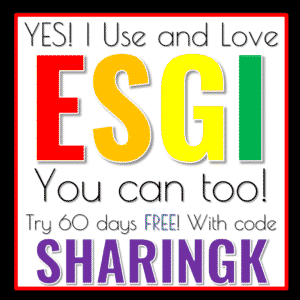 I am providing you with Amazon links to show you what I use and love. You can and should look everywhere you can for these items cheaply. I highly recommend begging others and saving money. 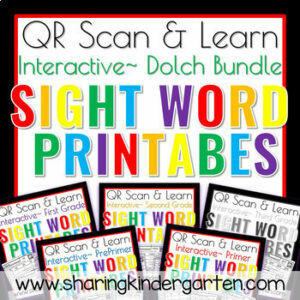 NEED Instant Activities and Games? 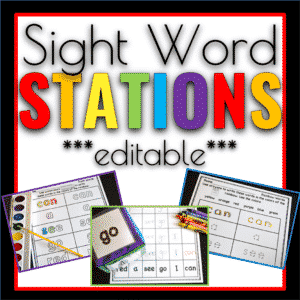 Check out EDITABLE Sight Word Stations! Making Sight Words Seriously Fun! 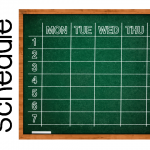 I watched your webinar last night and enjoyed all of your activities. You gave us a website skmake…. etc, but when I typed it in I keep getting an error. Could you help me? 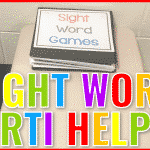 I watched the webinar but when wasn’t able to go the make sight words information sheet at the time to explore all the resources you shared. When I go to it now none of the http:bitly//….. urls work. Really? I didn’t alter them at all! I have no clue why they stopped working. 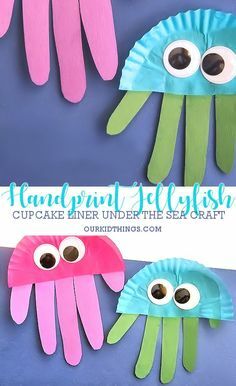 I watched your webinar on Wednesday and I loved all your ideas. I especially loved the game you talked about with the foam squares in the coffee container but I can’t seem to find the name or description anywhere. 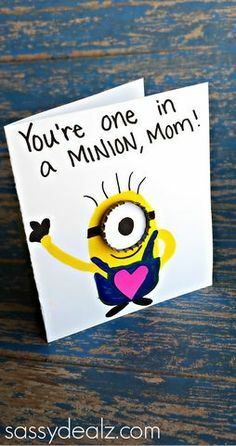 Thanks in advance! 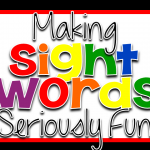 original view date of Making Sight Words Seriously Fun but viewed it last night. Is the worksheet and handout still available? I would like to share with some of the new Kindergarten teachers we have in our building.